Update: This deal sold out as of 10am today. Follow me on Twitter (@RobertDwyer) for faster notification of deals like this. Update 2: The Urban Grape and Groupon canceled this deal after discovering this sort of alcohol promotion was illegal in Massachusetts (more on their blog here). No deal for you! Group buying is hot lately. 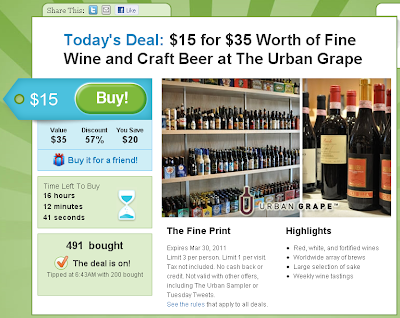 Today's deal on Groupon looks like one of the best I've seen for Boston-area wine enthusiasts: $15 for a $35 voucher to The Urban Grape in Chestnut Hill (review). I just bought 3. This past weekend we did our grocery shopping at Trader Joe's for the first time in a long time. I don't know why exactly but lately we've been going to Whole Foods more. Maybe it's because Trader Joe's feels more suited to young metropolitan singles and young couples than Whole Foods which feels like it's more targeted at families. They don't sell diapers at Trader Joe's and that says a lot about their target demographic. I'd forgotten how fun it is to shop for wine at Trader Joe's. As much as I've been trying to curb wine spending lately I couldn't resist tossing in a couple of lower-priced bottles. Over the years they've really bolstered their selection of wines just above their rock-bottom-priced/famous Charles Shaw wines. They've got other wines between $3 and $10 that are fun to try because they've got such cool personalities: Interesting labels, interesting grape varieties, and interesting regions. Their buyers really know what they're doing and it's evident in the smiles you see on customer's faces and in the average amount of wine in a shopping cart in the store. I picked up a few really inexpensive wines and then this one caught my eye: the 2007 Picket Fence Pinot Noir. I've seen the wine around before and the attractive label caught my eye. Something about it feels well suited to sharing with friends - especially neighbors. I was anxious to crack open a bottle of it because I don't think it's going to last long. Why? Because it's a $30 wine they're selling for $8.99. It wasn't mind-blowingly amazing but I thought it was an elegant representation of Pinot Noir from Sonoma's highly regarded Russian River Valley appelation. It's also from a highly regarded vintage (Wine Spectator called 2007 the best vintage ever for California Pinot Noir). Visually, this wine is quite thin. But then again maybe it's varietally correct and the rest of the overblown California Pinot Noir I've been drinking is overly dark. Typical Pinot Noir aromas of strawberries and tart cherries but I get some slightly-green/twangy/stemmy aromas as well that I could have done without. I get these notes quite frequently in Russian River Valley Pinot Noir so depending on whether these bother you, you may want to proceed with caution. Quite nice on the palate with satisfying weight and creamy light vanilla notes. Seemed like lowish acidity. Nice aftertaste. Medium length of finish. I would have gone 90 points on this wine if not for the ever-so-slightly-off aromas. Your mileage may vary - I'd encourage you to check it out if you can find it under $15. Update: After publishing this blog post my pal DW pointed me to this *awesome* unauthorized Trader Joes video. I think it's spot on! Have you had this wine? If so, what did you think? I wasn't sure what to make of this event until I saw the photo below. Looks like it's right up our alley! What: Aura Restaurant at the Seaport Hotel makes it easy to take your children to a nice restaurant with this month’s Fine Dining ‘Family Style’! Aura’s popular family evening out celebrates back to school with play time and story time. The idea of Fine Dining, ‘Family Style’ is that kids and parents can enjoy great cuisine in a kid friendly, relaxed environment, and this month is no exception. Chef Rachel Klein has created several special hot new Bento boxes for the kids! Who: Adults, kids & babies too! The cost for adults is $30 plus tax & service; for kids: Baby Selections $3, children’s Bento Box selections are $14 and sides are $3 plus tax & service. Reservations can be made at 617.385.4300. Click here for more information including a full menu. Can't make this Friday? This event is scheduled to repeat once a month for the rest of the year. Check 'em out! WHAT: This unprecedented series features tastings of the entire Fleming’s 100, the award-winning list of 100 wines by the glass unveiled each September. It is a rare opportunity for all guests to sniff, swirl, sip and spit like an international wine buyer. Guests attending an Opening Night event will also receive a $25 Dining Credit for the main dining room that evening. Click here for wines (20) served at each Opening Night. On September 30th, the wines will be chosen by each local wine director/general manager. I've enjoyed their by-the-glass selections in the past and I see some familiar favorites on this list. The Maso Canali, Sonoma-Cutrer, Cambria, and Hall wines jump out at me, and others look appealing as well. I think they do a nice job with their wine program - this looks like a good opportunity. 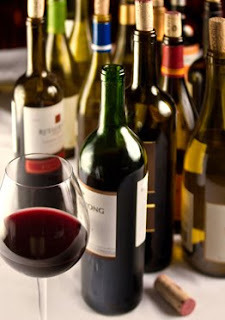 Further Reading: 10 ways to get into wine without spending top dollar. I don't think we'll see a better movie about wine than Sideways anytime soon. Wine plays such a substantial part in that movie, yet it stands as an incredible story on its own. Some thought Bottle Shock would be the next wine movie to fascinate audiences in a similar way, but it fell flat. Mondovino is an interesting film but fails because it assumes too much knowledge and fails to make its points crisply. So it was with high hopes that I recently watched Blood Into Wine. I'm pleased to report the movie was thoroughly enjoyable and I highly recommend you check it out -- depending on whether you're interested in the subject matter of the film. If you're interesting in wine, the rock band Tool, or Arizona you'll probably like this movie. If you like 2 of these subjects you may love this movie. If you're into all three you may find yourself feeling as if this movie was a gift made for you. I grew up in the Phoenix area and went to college listening to Tool's music in Northern Arizona. I obviously care a lot about wine so I find myself in the "gift" bucket. The movie delivered with stunning cinematography (it's unmistakably shot beautifully in Northern Arizona) and compelling story telling to provide a complete package I thoroughly enjoyed. The story centers around Tool/A Perfect Circle/Puscifer front man Maynard James Keenan and his groundbreaking winemaking aspirations centered in Jerome, Arizona. He's partnered with the experienced, passionate, and well-spoken Eric Glomski to deliver wine under the Caduceus (kuh-doo-see-us) label. After overcoming challenges associated with being some of the first winemakers in the region, their wines have been rated between 86 and 91 points by Wine Spectator and have brought significant notoriety to winemaking efforts in Arizona. Like a great wine, the movie delivers balance. If you're more into wine than Maynard's music, or vice versa, I think you'll find the story never strays too far from your interests. Eventually you'll likely find yourself focused on Keenan's story. Which is summed up eloquently at the end of the film when he shares that he felt it took 7 years for people to "get" Tool, 7 years for people to "get" A Perfect Circle, and 7 years for people to "get" Puscifer -- he fully expects it will take 7 years for his foray into wine to fully come together. His vision, passion, and persistence is inspiring. Especially when viewed in the context of an endeavor like blogging where someone who's been at it for 3 years is considered a veteran. In the end you may realize the movie is essentially a well-crafted 90 minute commercial for Maynard's wine making efforts. And it may jump around with inadequate depth depending on your interests. But you'll likely forgive these small transgressions because overall the underlying story is so compelling, and you'll be so interested in trying his wines. Further Reading: I think a visit to Caduceus would pair brilliantly with a trip from Phoenix to Flagstaff to the Grand Canyon. Along with two others, it's one of my favorite vacation destinations in the country. A few weeks ago I was drinking a 2007 Cakebread Chardonnay and tweeted something along the lines of it being one of the few white wines I look forward to tasting. As much as I try to broaden my wine drinking horizons, red wine consumption continues to outpace white wine consumption in our house 4 to 1. What can I say? I like to think I'm going to drink white wines most of the summer but I end up running back to my comfort zone of domestic red wine. "What are some wines that taste like Cakebread but cost less?" It's well documented by now that Cakebread Cellars is one of my favorite wineries. They were the wine that got me into wine, I've enjoyed visiting their tasting room in Napa a number of times over the years, and it's consistently one of the most popular restaurant wine brands in the US. It is a great wine brand. It's debatable whether Cakebread is more known for their Chardonnay or their Cabernet. 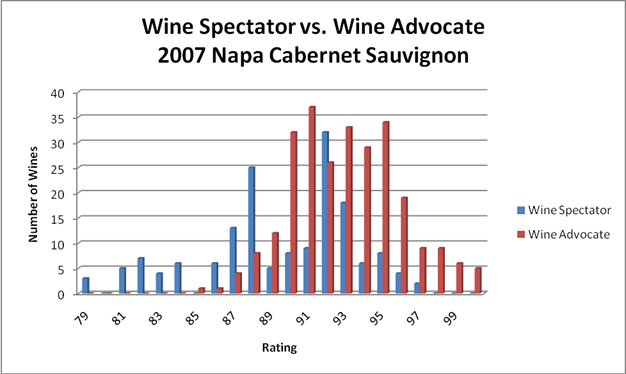 Like Napa in general, perhaps it depends on your perspective and what you're looking for. I love their Cabernet Sauvignon for its distinctive presence. It's got this great combination of being delicious on the nose and elegant/reserved on the palate. Their Chardonnay is similar in that it presents itself on the nose as this big caramel apple but again shows amazing refinement on the palate. It's quite amazing actually and, for my preferences at least, seems to be a calling card across their entire lineup. In thinking about which wines to consider viable substitutes for Cakebread, we'd be remiss if we didn't consider the whole package. You know- the bottle, the label, the brand, the place. The whole thing that goes into the enjoyment of a bottle of wine. For a while, I've wondered whether I was under the spell of the label. However, after tasting their wines in several blind tastings across a few grape varieties they consistently came out at or near the top. I love their label -and- I love what's in the bottle. Very similar to the Cakebread Chardonnay with its caramel nose and overall delicious first impression. Shows restraint on the palate which lends itself well to enjoyable consumption. Elegant yet friendly stuff. Dense and chewy. Fruit forward and accompanied by savory herb aromas and flavors. High-ish alcohol but well integrated. The label is similarly elegant like Cakebread's as well. The flavor profile is more similar than not too. Quite a reasonable substitute at a more approachable price point with wider availability. 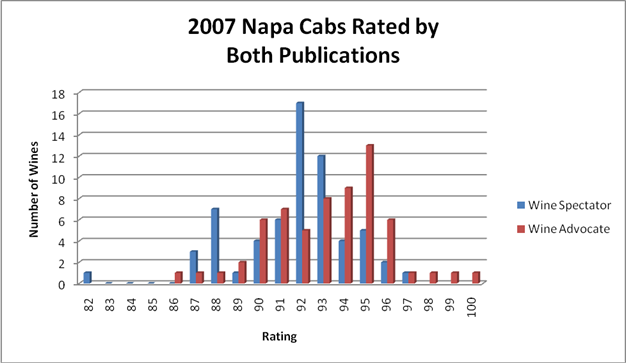 Conclusion: Brands are hugely important in wine selection and for my money Cakebread is one of the best. If you enjoy the style of their wines and are interested in more wallet-friendly options these from Landmark and Groth are two I recommend. Did I get it right? What wines would you recommend as value substitutes for Cakebread when unavailable or trying to keep costs down? Coming up with a name for a wine brand has got to be tough. At this point it must seem like every good name is taken, and even if you go with your family name it too might be taken. Or confusingly similar to another wine brand. Most of the time when I confuse two or more wine brands it happens when I hear the name spoken -or- in writing without a logo. It's a temporary bit of confusion as I try to think "is that the wine so and so said to try?". In more extreme cases I wonder whether the similarity was an intentional way to get consumers to associate a new brand with a more prestigious existing label. Landmark and Larkmead- the words are nearly an anagram and they sound alike too. Landmark Vineyards produces highly-rated Syrah, Chardonnay, and Pinot Noir. Larkmead Vineyards is also well-regarded Napa producer of Cab, Merlot, and Sauvignon Blanc. David Ramey produces wines from the Larkmead vineyard. Honig and Hogue- the first time you hear them the names are just too similar not to confuse. Honig is a Napa winery focused on Cabernet Sauvignon and Sauvignon Blanc. Hogue Cellars is a Washington state producer of a wide variety of red and white wines at a variety of price points. Something about the two-word combination of these Sonoma wineries always trips me up. Ferrari-Carano has a very popular tasting room in Dry Creek Valley and is known for their Fume Blanc. They produce a wide range of other wines as well. Sonoma-Cutrer is one of the most popular restaurant wine brands in the country known primarily for their Chardonnay. Until just recently they didn't have a tasting room. Another case where I think the names are just too similar to not be confused. All of the wines from Benziger Family Winery are certified sustainable, organic or Biodynamic. They have a tasting room in Glenn Ellen, CA (Sonoma County). While they're not a small production winery, they're not quite as ubiquitous as Beringer. Beringer Vineyards covers a wide range of price points. From their $7/bottle California Collection wines including a White Zinfandel through their Knight's Valley wines (a well-regarded Sonoma Cab that can be had for less than $20 retail if you look around) to their over-$100 Private Reserve Napa Valley Cabernet and Chardonnay. Beringer's tasting room is right along Highway 29 in Napa Valley- just north of St. Helena. The inclusion of this one on the list might be surprising. I mention it here because I've gotten their upper-end bottlings confused from time to time. 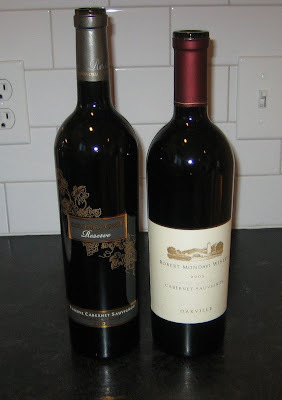 Both produce entry-level wines that can be had in the $40s, and both produce highly sought elite Napa Cabs. Shafer Vineyards offers a $48 release price Merlot. Their One Point Five Cabernet competes with the Caymuses, Cakebreads, and Silver Oaks of the world (see this steakhouse cab blind tasting we did a while back). Their Hillside Select Cabernet takes it to another level at $215 and is a definitive Napa Cab. Joseph Phelps Vineyards' entry-level Cab is $54. Their well-known Insignia brand lists for $200 and has been prominently featured in Sub-Zero wine refrigerator ads. A pricey wine considering more than 16,000 cases are produced annually. I saw the 2006 vintage on sale at Total Wine in Georgia for $125. They also offer a $250 Backus Vineyard Cab. Here's a case where the confusion results in meaningful noise when trying to perform a Wine-Searcher.com search. Here's a link to a search for "hall" wines from the "2006" vintage. Look at all of the different wines listed! Hall Wines made the QPR-bending 2006 Hall Cabernet that received 94 points from Wine Spectator and costs just over $30 retail in Massachusetts. They also make some higher end wines that were especially well received in 2006. They're a Napa producer of mostly Cabernet Sauvignon, but they also produce other red and white wines as well. Whitehall Lane is a well-regarded Napa Cab producer. Robert Hall is located in Paso Robles. Patz & Hall makes Chardonnay and Pinot Noir from a variety of locations in Napa, Sonoma and beyond. Every time I've heard that Foley Wines has acquired a new label I immediately think of Robert Foley. But then I recall there's another Foley in the wine business: William P. Foley II. In addition to their namesake Foley Estates wines out of Santa Barbara County they also own brands like Lincourt, Merus, Firestone and Sebastiani. Robert Foley's eponymous label is known for big Napa reds- especially their Claret which is usually actually usually a 100% Cabernet although they're now making a small production wine labeled as a Cabernet as well. The wines aren't ashamed of being big, rich, and super-ripe. Robert Foley has also been involved with Pride Mountain, Switchback Ridge, and Hourglass. Okay, I'd never mistake Cakebread for another wine. It's one of my favorite brands. But a lot of other wines with the name "cake" in the name have come to market over the past decade and I can imagine there's some confusion when someone goes into a wine shop seeking "that wine with the cake on the label". Cakebread Cellars is a Napa producer of premium Cabernet and Chardonnay. It's the wine that got me into wine. 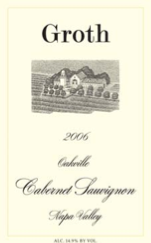 Cakebread Cellars was founded by Jack Cakebread over 30 years ago. Layer Cake and Cupcake have something else in common besides a similar name: Although they employ slightly different models they both make wines from different regions all over the world. Layer Cake makes wines in Australia, Argentina, Italy, and Napa. Cupcake makes their wines in Monterrey, California though they produce a wide variety of wines from other regions. Here's a more obscure one. Orin Swift Cellars makes The Prisoner- a hearty, highly rated red blend from Napa available for $29.99 retail. Owen Roe Winery makes wines from Oregon and Washington. Neither Orin Swift nor Owen Roe are real people who work at the respective wineries. Lewelling is a Napa grower and winemaker of premium Cabernet Sauvignon. Here's a review I wrote of an excellent visit to their property. Leeuwin Estate is a well-regarded producer of a wide range of wines from Australia. What do you think? Did I get the big ones? What are some other domestic wine brands that trip you up until you see the logos?